The stars aligned for me this month and my opportunity to finish my first Heritage Trout Challenge journey had finally come. Two years ago I completed my first two qualifiers for the challenge: the McCloud Redband and Lahanton Cutthroat. My eyes were set on three native trout that inhabit the upper portions of Northern California. My first attempt to complete my challenge would be catching a Coastal Cutthrout Trout. 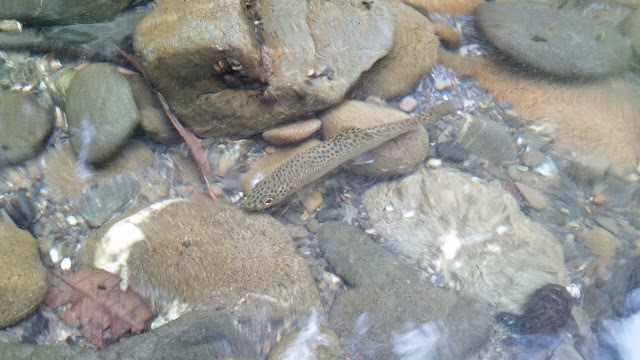 The coastal cutthroat is unique in that they are semi-anadromous meaning they live part of their lives out in sea however not to the extent of steelhead or salmon. Their native range in California ranges from the Northwest California-Oregon border down to the Eel River. With a migratory nature and such a large range, I knew they were going to be somewhat difficult to find. Factor in a mess of rainbow trout and you've got yourself perhaps the most elusive heritage trout to try and capture. 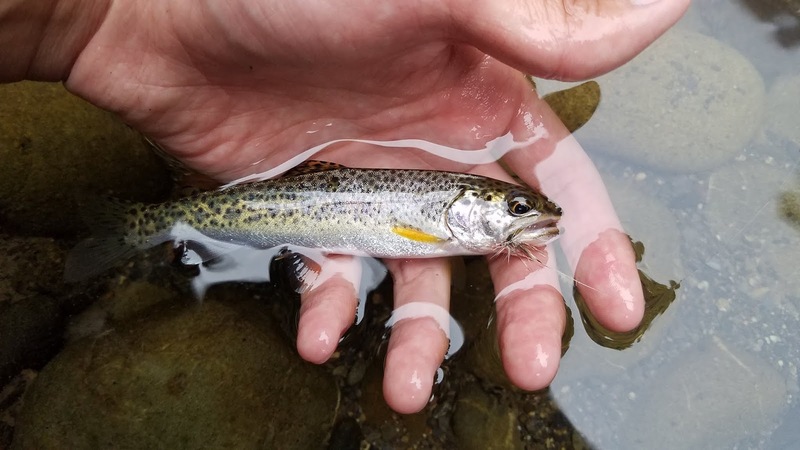 My research for the coastal cutthroat led me to believe that the best way to find these fish were to target tributaries near major coastal rivers. According to DFG regulations all tributaries of the Klamath and Trinity Rivers are closed to fishing therefore I was left with either trying the Smith or Eel river. I've read that coastal cutthroat are more abundant as you move north thus I ultimately decided on checking out the Smith River, a tributary called Patrick Creek in particular. Further research showed that this creek had a good population of coastal cutthroat to target so my chances of coming out with a heritage trout looked pretty good. The Northern Coast is one of my favorite places to visit and I was excited to get back out there again. The six hour drive to Patrick Creek wasn't too bad. I took I-5 north through southern Oregon and west back into California. Due to all the fires there was smoke everywhere until I got to the coast. I arrived at Patrick Creek at around 4pm and immediately started fishing. Patrick Creek was running pretty low however it appeared fishable. 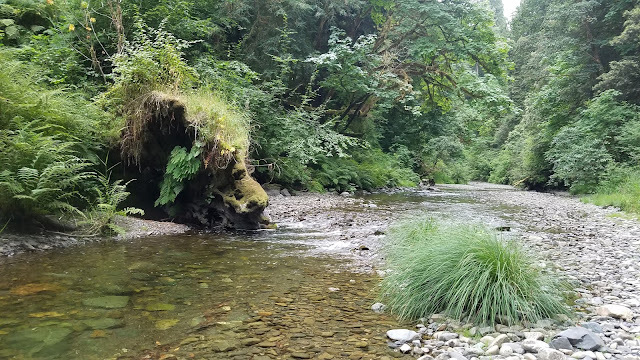 I started about a quarter-of-a-mile upstream from where the creek meets the Middle Fork of the Smith River and worked my way downstream knowing that these fish would probably be closer to the main stem. 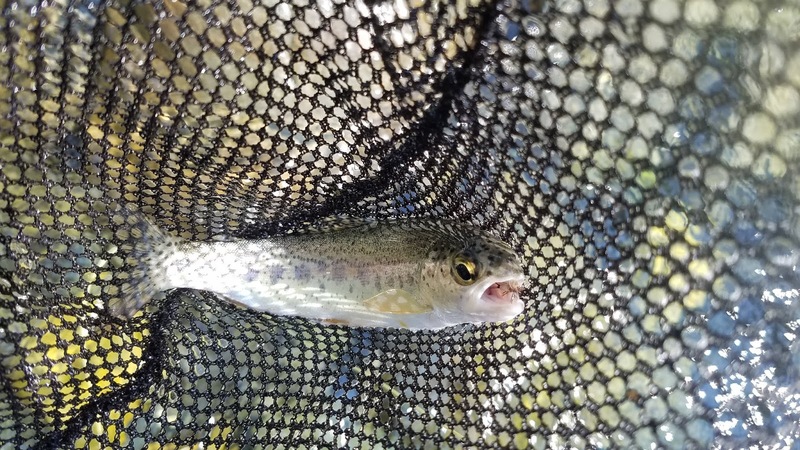 My first catch on a dry was a trout with no distinguishing cutthroat slash, just a regular rainbow trout. After continuously catching rainbow trout after rainbow trout I started becoming anxious. 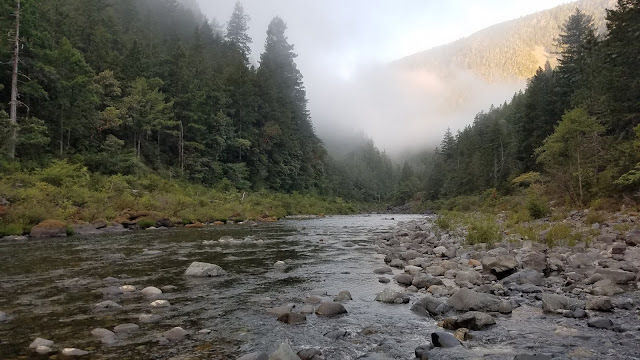 About two hours later I had finally made it to the Middle Fork of the Smith River without catching a single coastal cutthroat. I tried fishing the Middle Fork of the Smith as a last chance effort to find my first cutthroat however I only found more rainbows. "There aren't any here. Where should I try next?" I told myself. Another creek I had researched that was suppose to have a population of coastal cutthroat was Mill Creek. 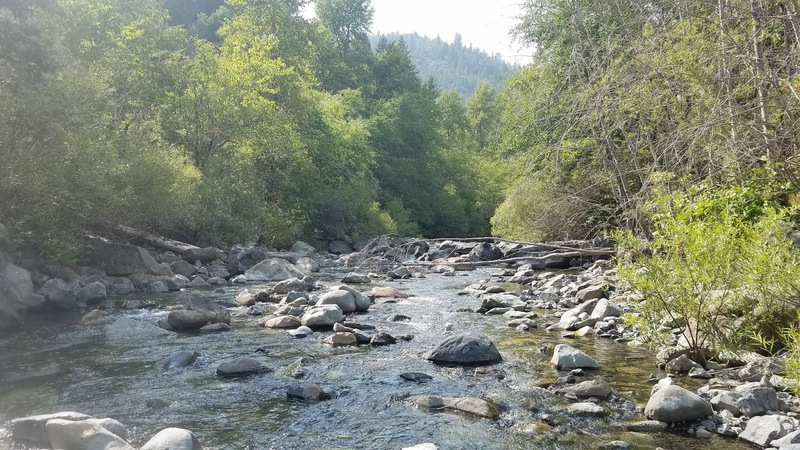 Mill Creek is a tributary of the Smith River that lies much closer to the Pacific Ocean. "The closer I fish to the ocean the better my chances" was what I told myself. The drive to Mill Creek from Patrick Creek was about 15 minutes and I had about an hours worth of daylight left. 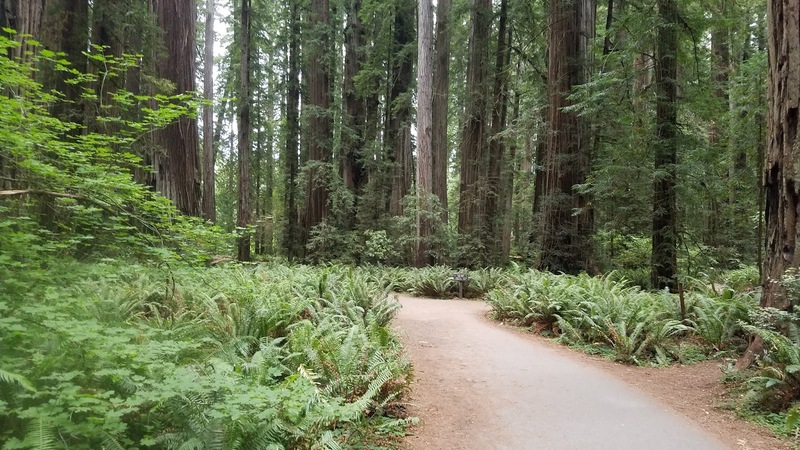 I quickly made my way through the redwoods to get to the creek and found that it was also running low. 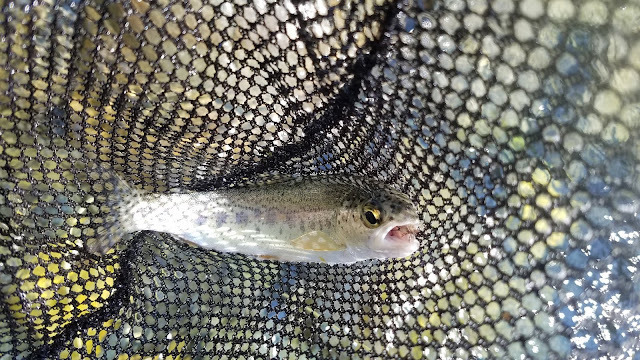 I threw my dry into the first small pool I found and rose a small fish that I immediately noticed was different. 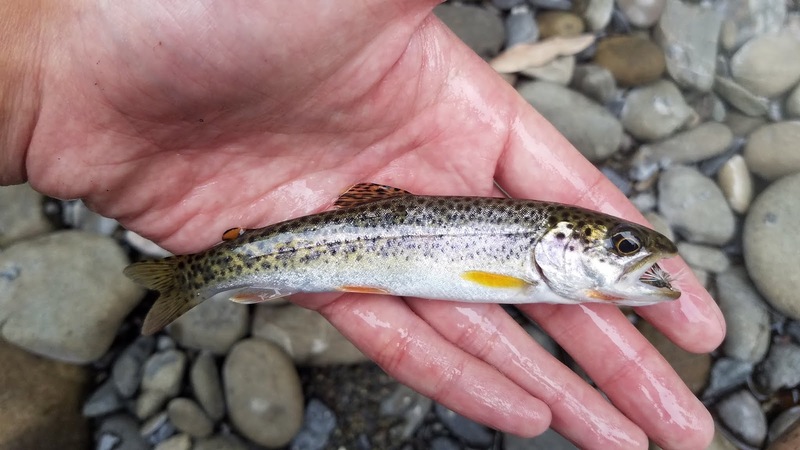 A quick observation of it revealed that I had finally caught my first coastal cutthroat trout. After a quick photo session of the first heritage trout of my journey I continued to fish Mill Creek to see if I could find another cutthroat. To my surprise I continued to catch only small rainbows. I must have caught over fifty rainbows this day in an attempt to find a coastal cutthroat. Needless to say I got lucky.